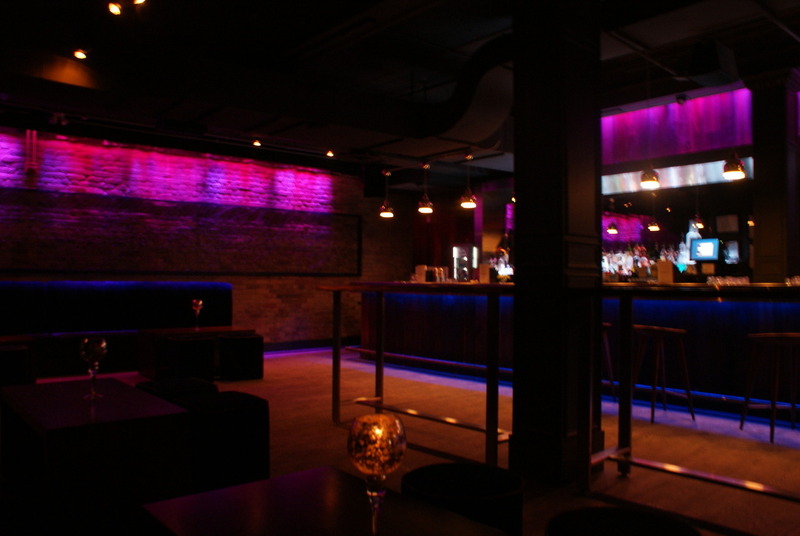 The spring/summer season, here in Toronto, has not only brought unprecedented heat, but also the launch of many bar’s, lounges and resto’s. With that being said, our time at the Wine Hobbyist has been spread between sharing our thoughts, with you, about wines we’ve discovered and loved along the way, and these chic new, must try, resto’s. So, with that, we move on to the tale of our time at Bloke & 4th. Usually, when we talk about entering a new location, we talk about the decor, but I have to tell you our Bloke & 4th story, in the order of the happenings. 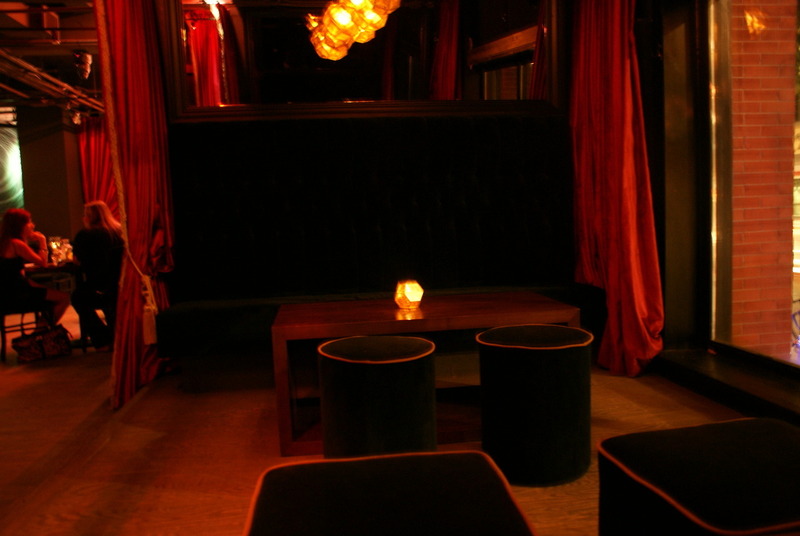 At Bloke & 4th, we were greeted by the hostess, as we entered the large doorway, and were astounded at her accommodating and friendly air; making us feel instantly comfortable. We asked nicely to sit at the bar, giving us a chance to parle with the mixologist in house that night, and they accommodated us in that sense too. 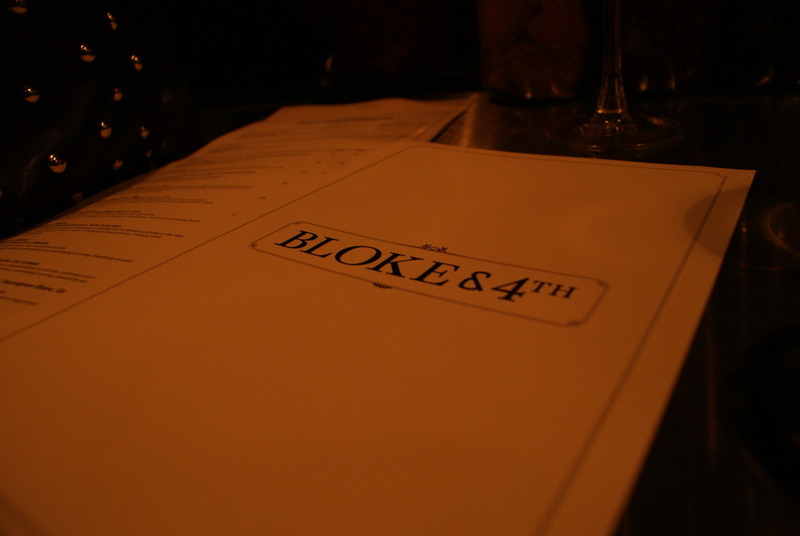 The decor of Bloke & 4th was modern, but yet warm and inviting, making anyone feel at home, upon digesting the rooms style, in your purview. We spent most of our night in the restaurant, though Bloke & 4th did offer a lounge area for those more interested in the libations, than the food itself. 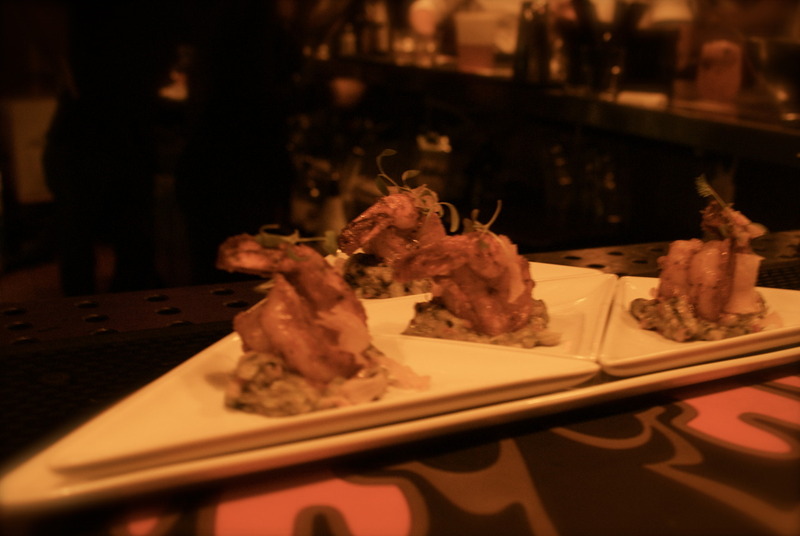 For us, it was a must that we tried the hand of the mixologist, sipped items from their wine list and paired our liquid pleasures, with dishes from their menu. We started the evening off with what I class as an apéritif; something solid that allows me to relax, and for that, I turn to scotch, bourbon, or whiskey. Now, that you know that, you’ll understand why I ordered an old fashion first. Besides, ordering one of our favourite cocktails, location to location, tells you a bit about the style and skill of the mixologist. The Bloke & 4th mixologist, Jason Patience, created what I like to call the ‘new fashion’, as he used a strawberry puree and lemon, as an addition to my old fashion. It turned out to be that strong drink I was looking for, coupled with a refreshing element, all in all a good suggestion from mixologist Patience. We then moved on to review their wine list, which was comparable to the average resto/lounge, and as a result, not a location you would want to go to if your sole goal was to indulge in gem, exotic wines. With that being said, we were thoroughly impressed with their addition of the Anna 6 prosecco – white wine blend. A wine we do not normally see on local restaurant wine lists. As the evening went on, we tested the skill of mixologist Patience, and we were never disappointed. We tried champagne infused cocktails, straight through to cocktails that calmed us because of their similarity in taste to chamomile tea. 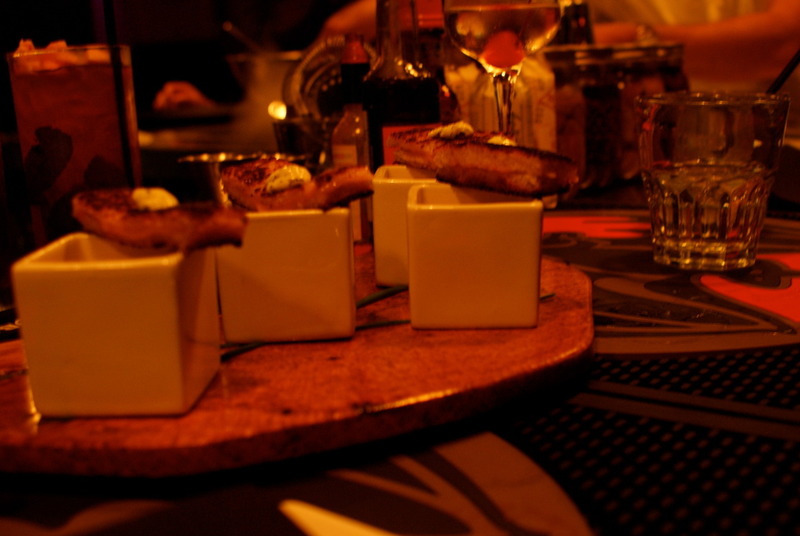 As mentioned, we paired our cocktails with various dinner items, but I must admit that the Summer Corn Soup shooters with Cheddar Grilled Cheese ($15), created by chefs Alex Burgess and Adrian Niman, was unbelievable, and a must order. Burgess and Niman, have been gracing culinary hot spots for years, including their Food Dudes catering venture, started in 2007. 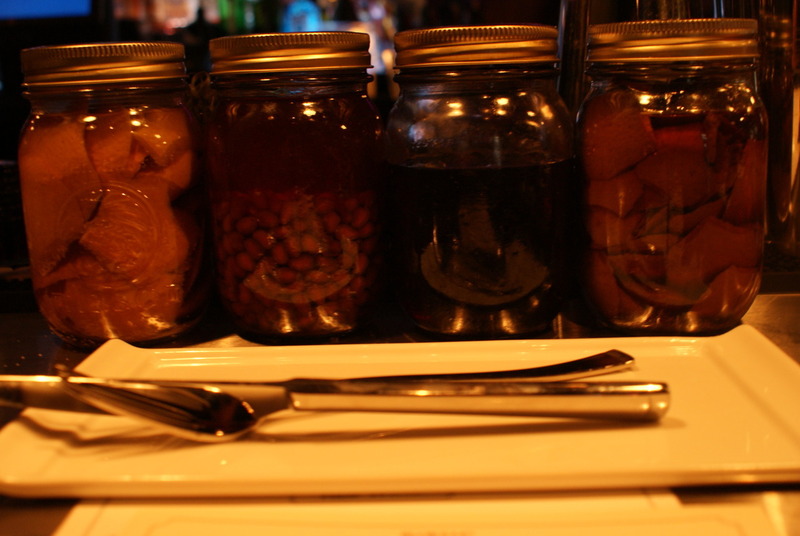 Mixologist, Jason Patience (gotta love the last name) has been serving up the crafty libations for the past nine years, in cities such as New York, LA and Miami. All dishes are prepared to share, and all dishes go perfectly with the intent of enjoying light and long conversation with friends, over fantastic libations and sensational foods. 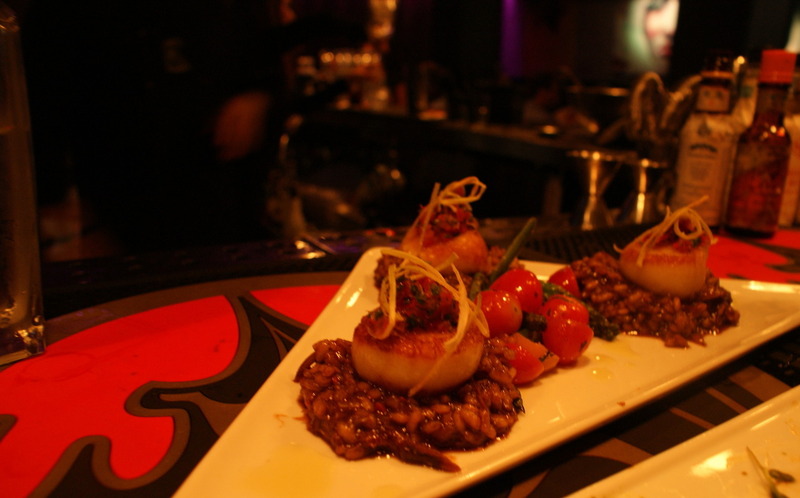 If you get a chance, you should also order the Pan Roasted Scallops with Oxtail Risotto ($25), another crowd pleaser. We’ll definitely be paying Bloke & 4th a visit, again.